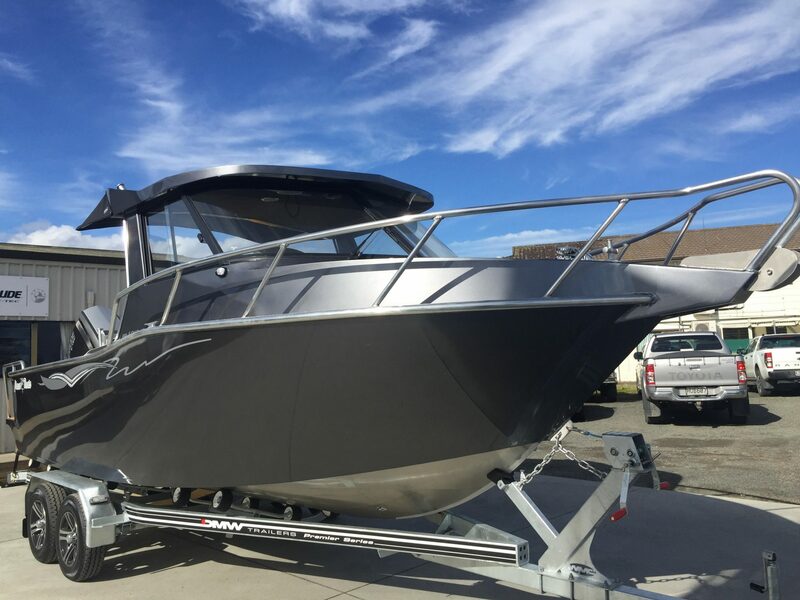 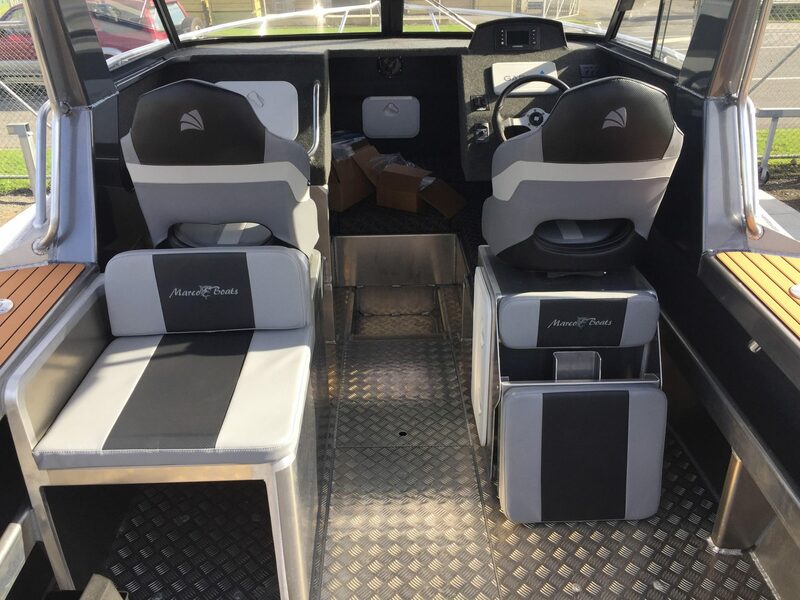 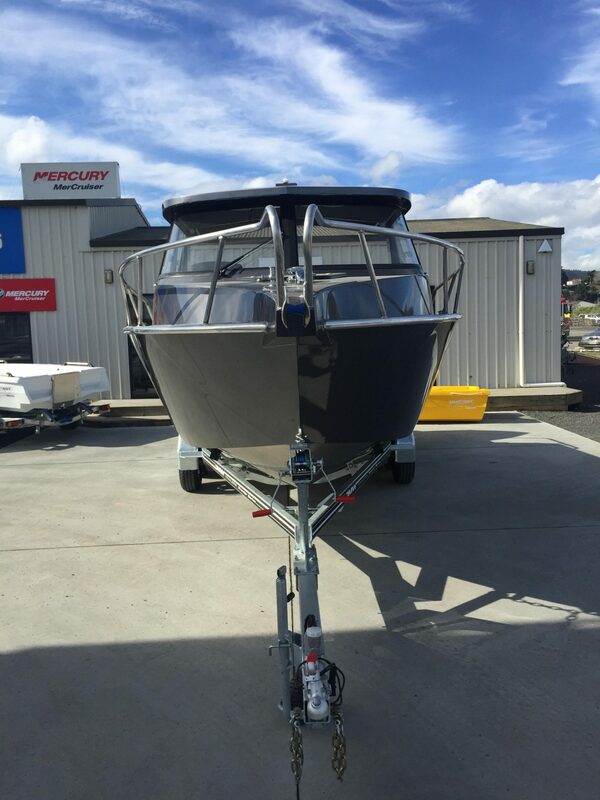 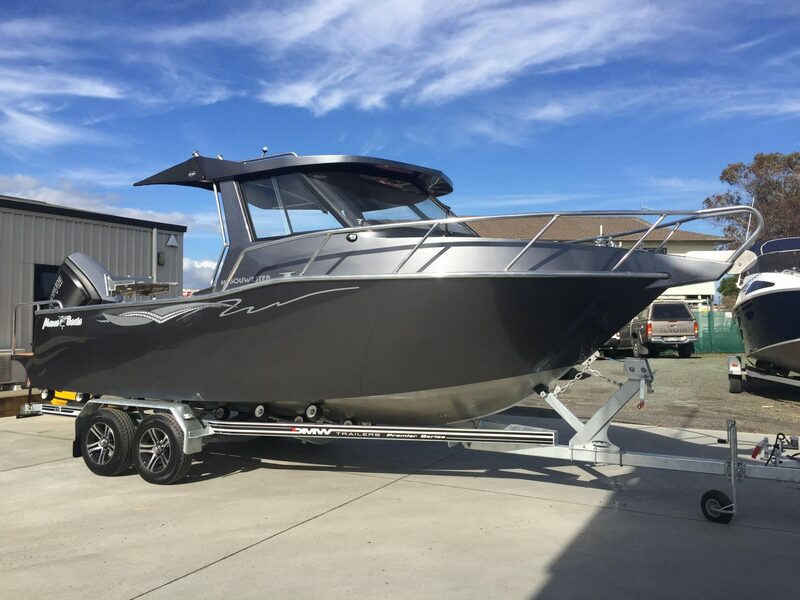 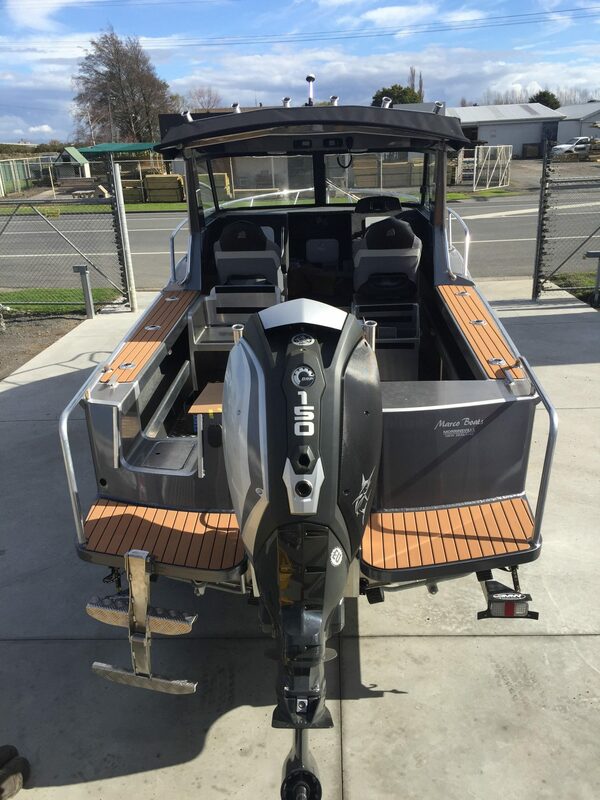 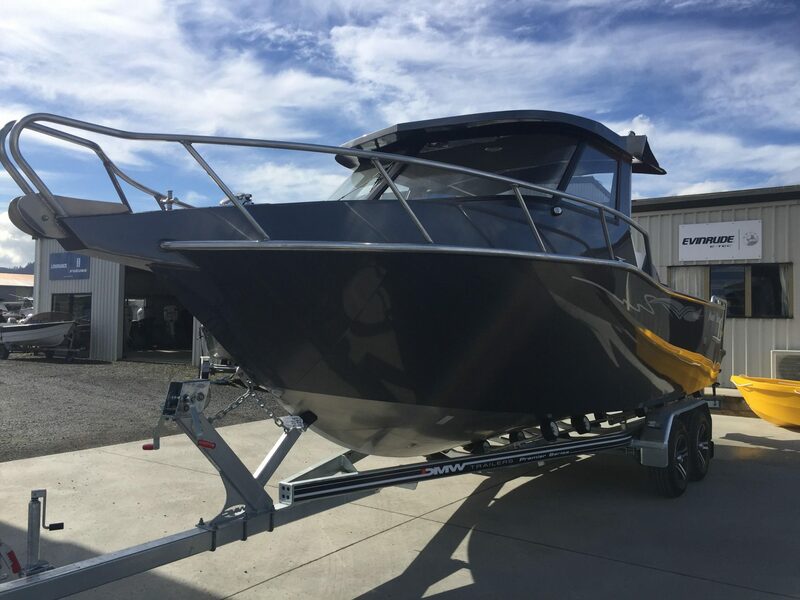 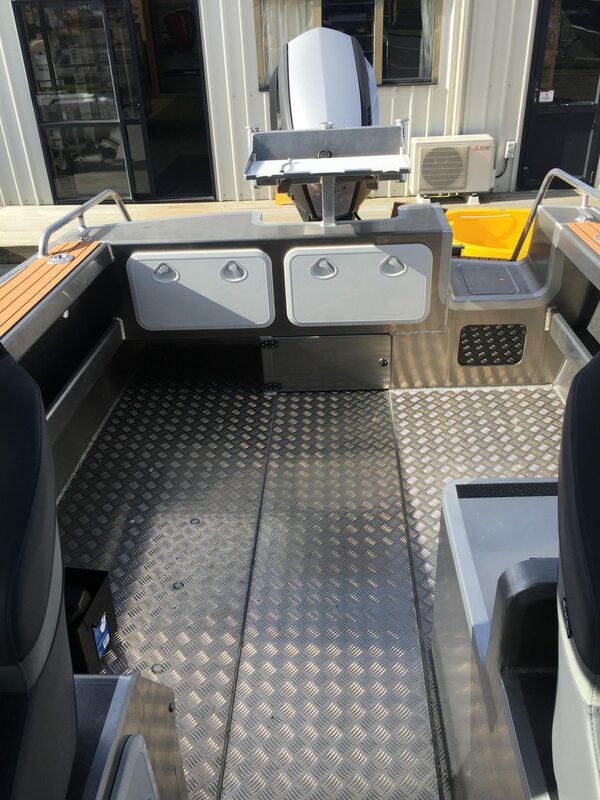 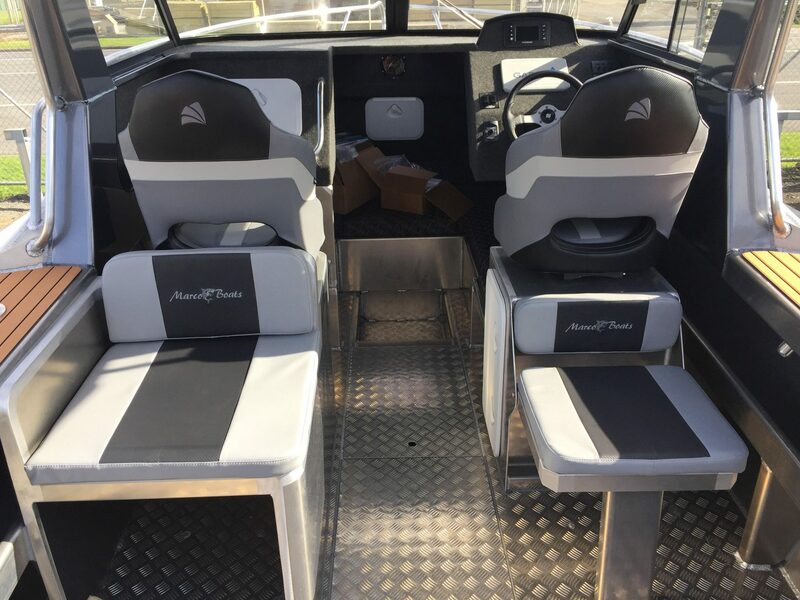 Marco 650 Sou’wester 2019 | Peninsula Marine Ltd.
Navigation lights, Hydraulic steering, Underfloor fuel tank, 6 alloy rod holders, Walkthrough transom, 2 pedestal seats, Bilge pump, Carpet lined cabin, Sealed buoyancy, Handrails, Boarding platforms, Separate anchor locker, Switch panel, Bunk squabs. 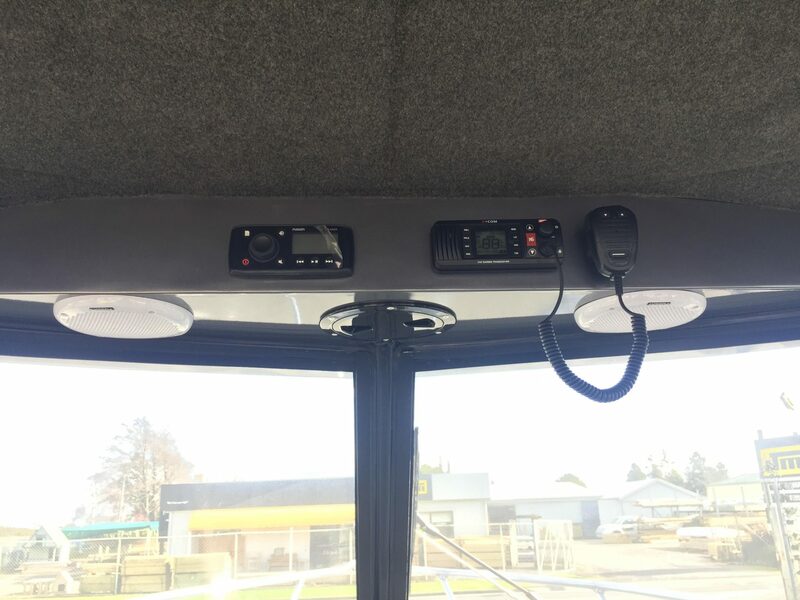 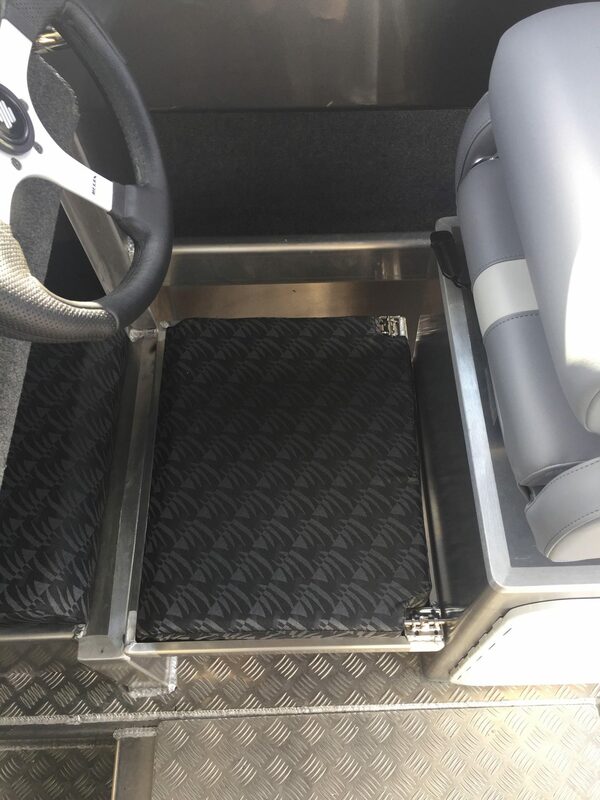 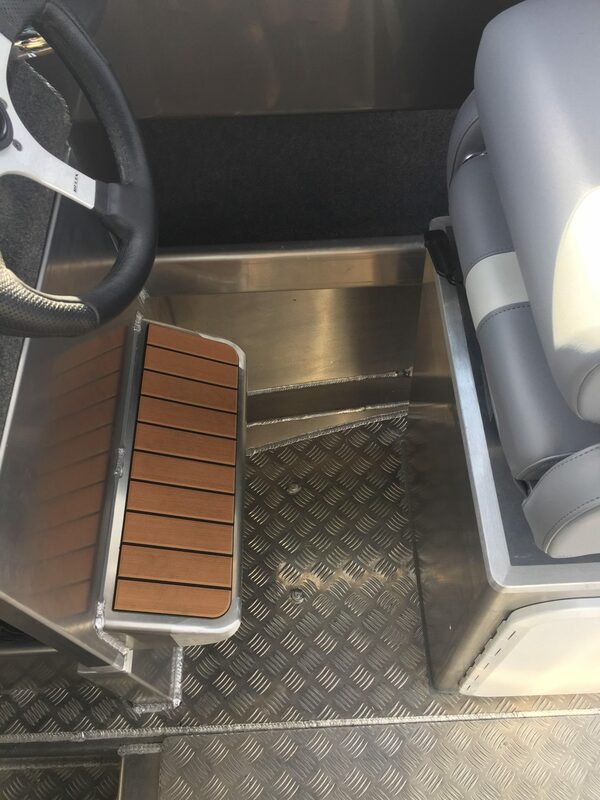 Underfloor storage, Bow rail, Storage side pockets, Full vibra stop kit. 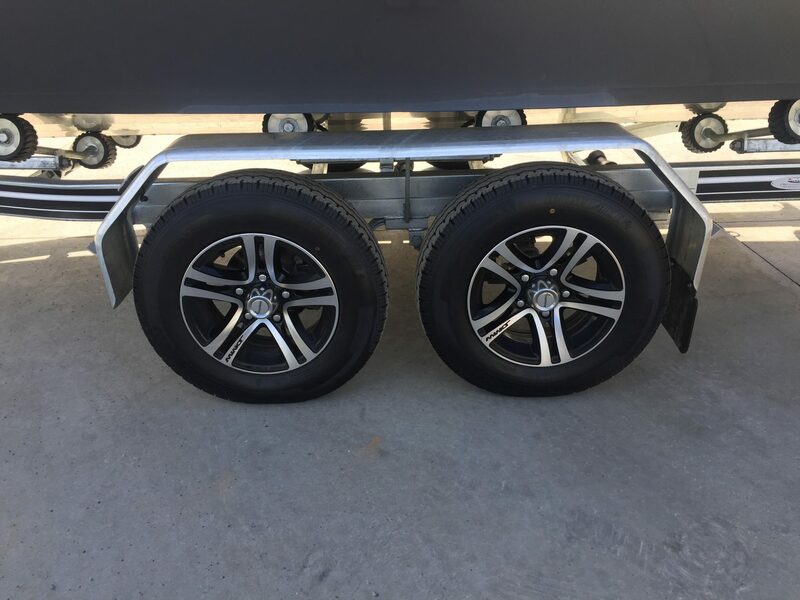 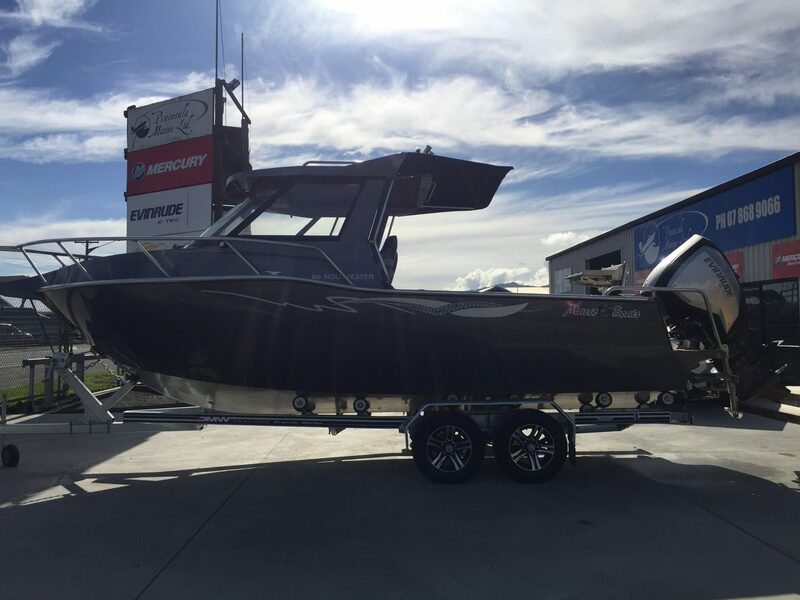 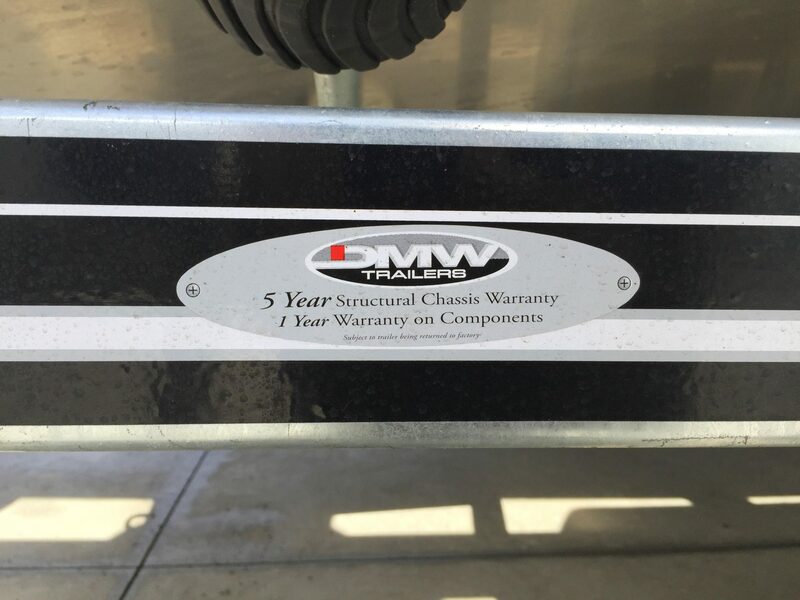 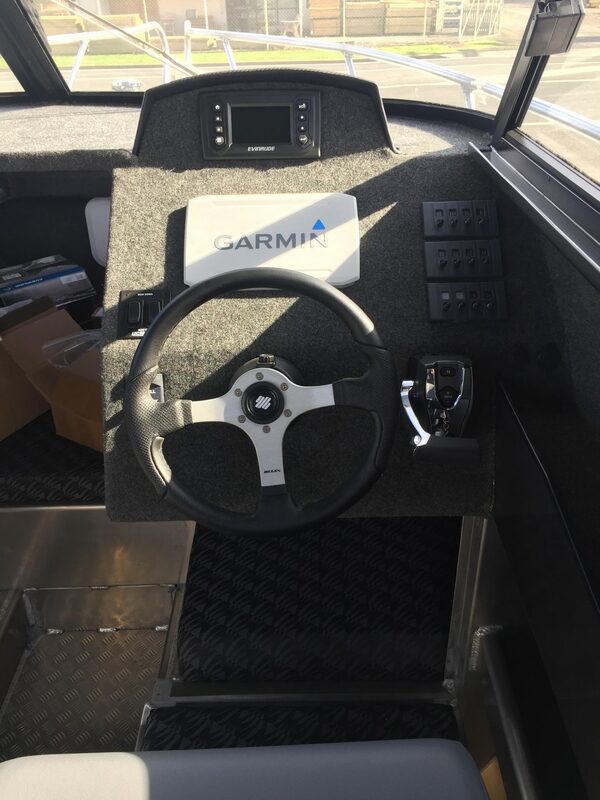 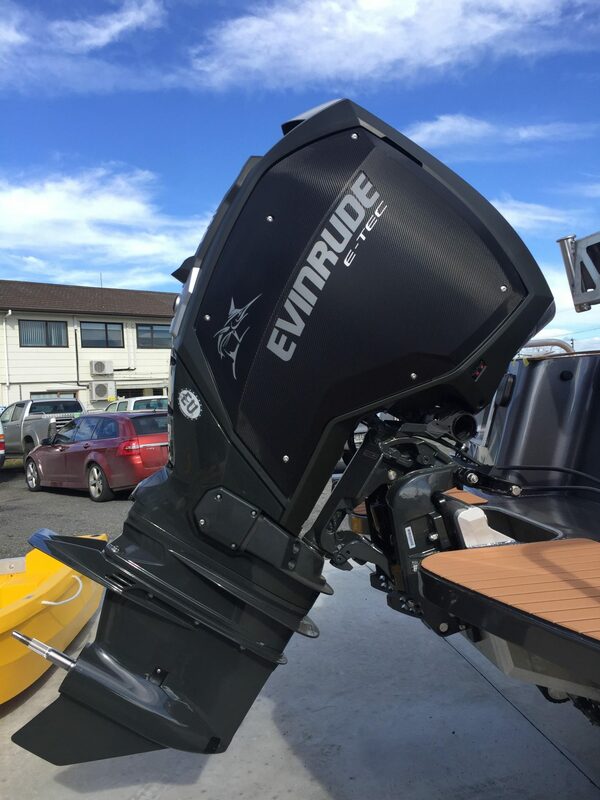 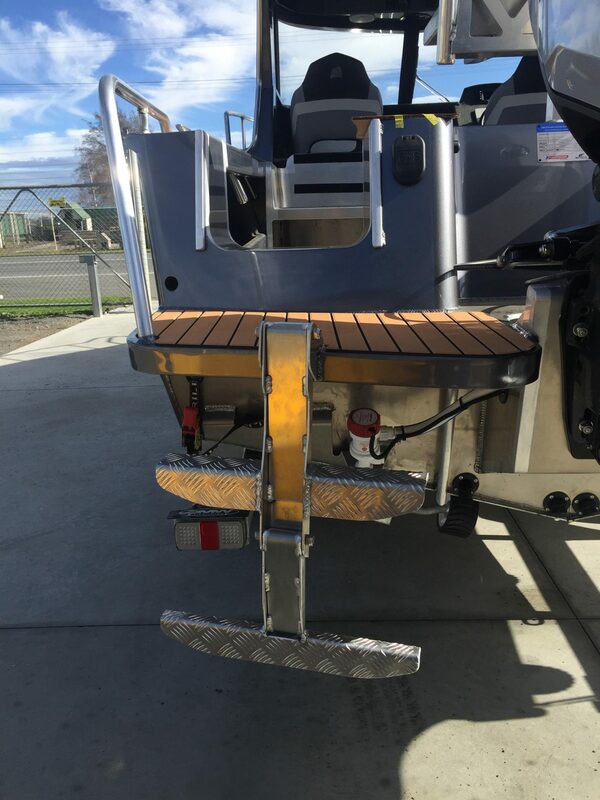 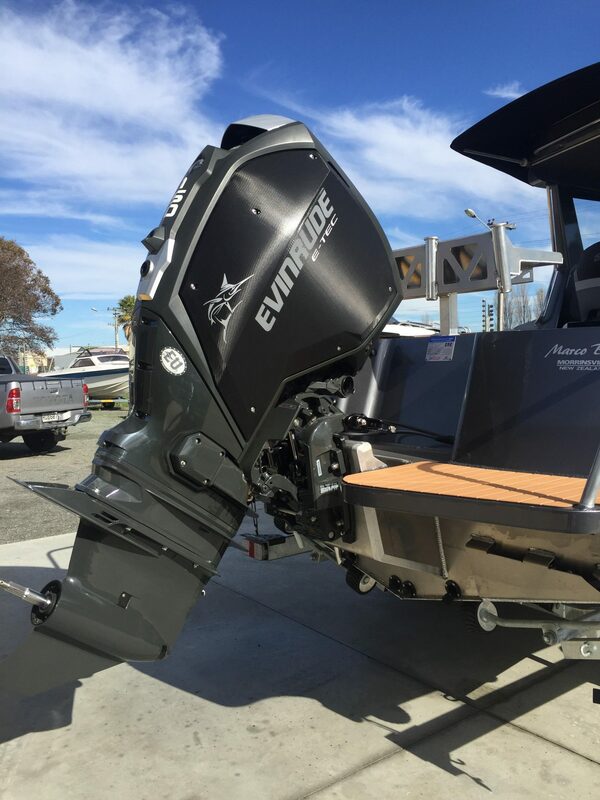 DMW braked trailer (5 year structural warranty, 1 year components warranty), 150hp Evinrude G2, Painted hull and cabin, Custom king and queen seats, Auto anchor and Sarca anchor kit, VHF, Fusion stereo, Garmin 9″ Chartplotter/sounder, Trim tabs, Wiper, Boarding ladder, Dual batteries, Sunshade canopy, Livebait tan, Folding bunkheads, Sliding side window. 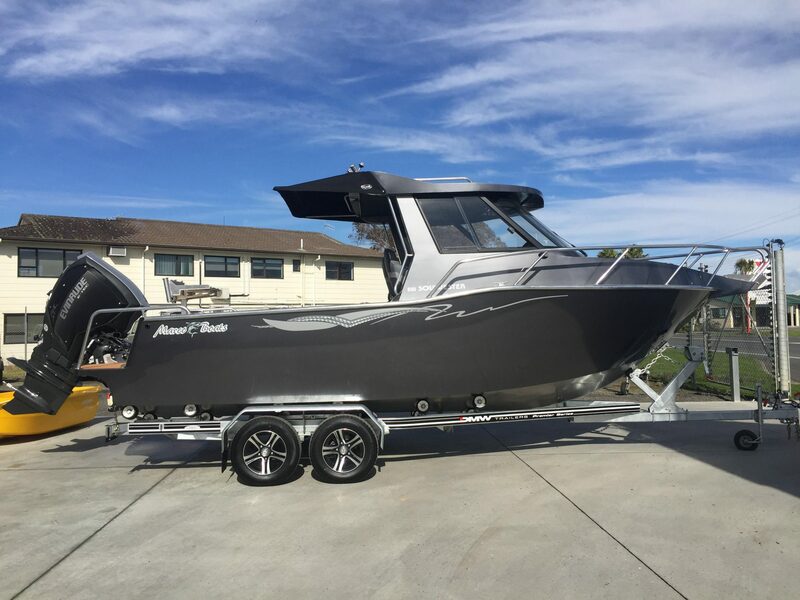 Last boat at this price.